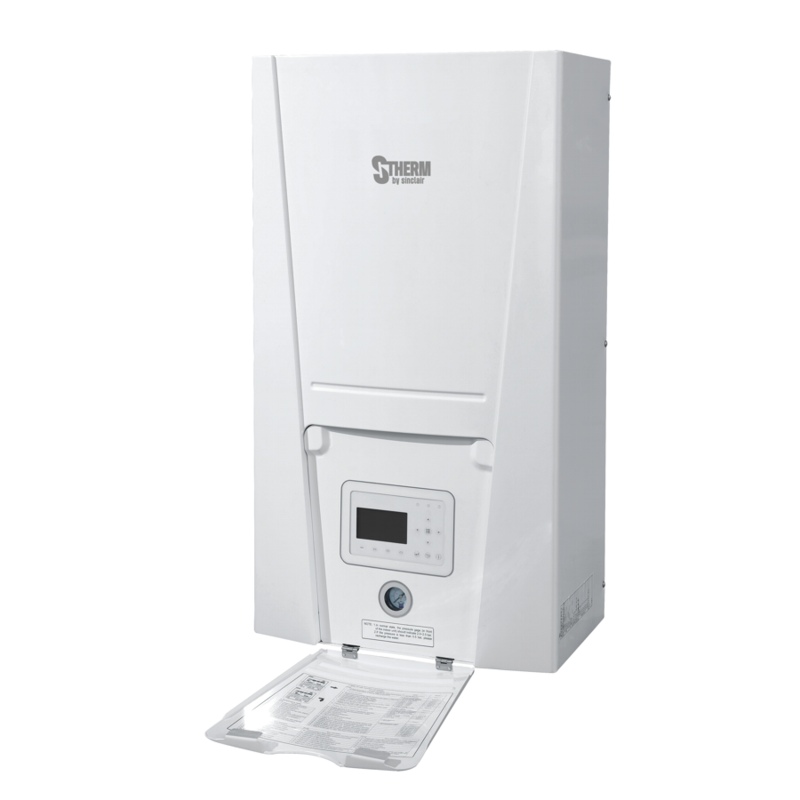 Air-to-water heat pump takes heat from the outdoor air and transfers it to the water which is then used for heating of a house or of domestic hot water. 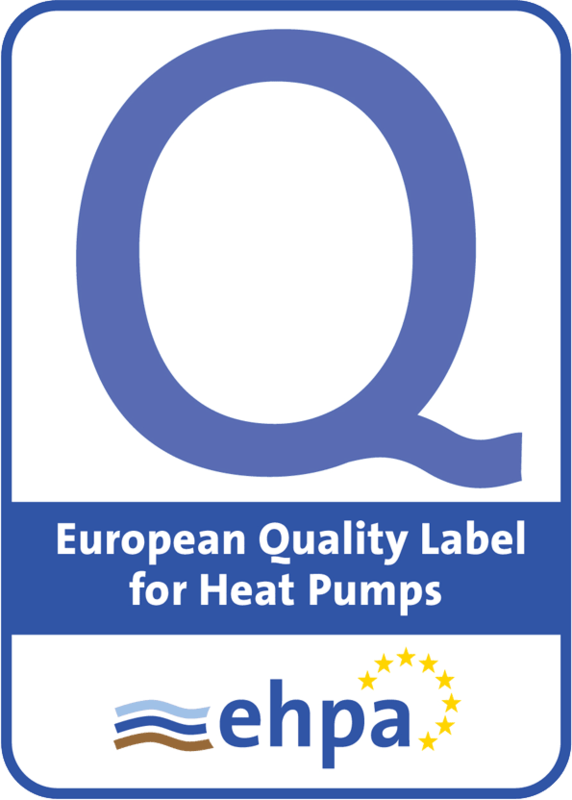 Modern heat pump can take heat from air even in low ambient temperatures, so they can work almost all year-round. 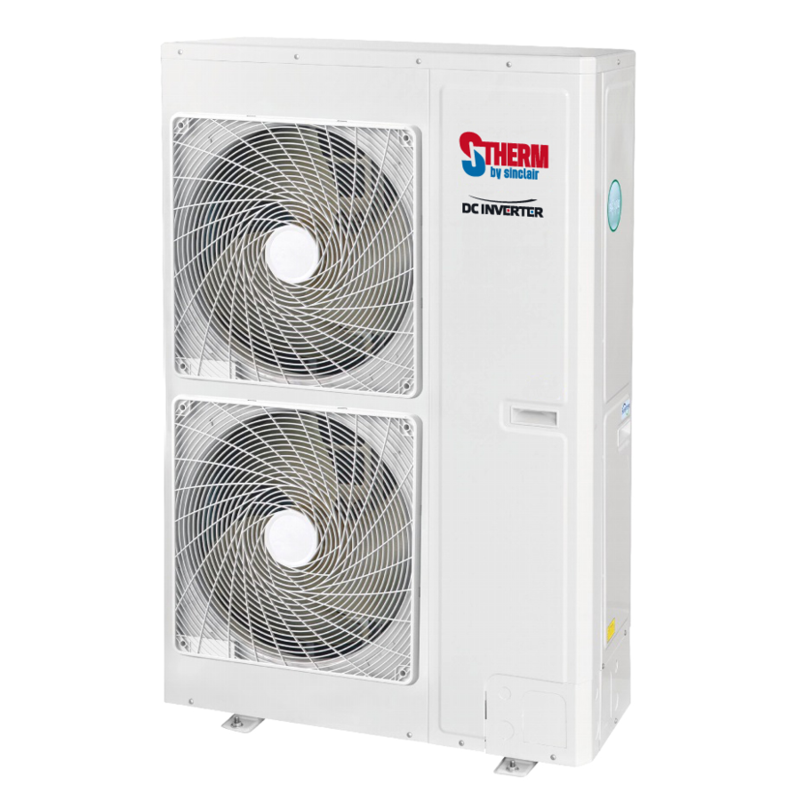 Because our S-THERM heat pumps adopt DC inverter technology, the compressor can adapt its power to meet actual requirements. 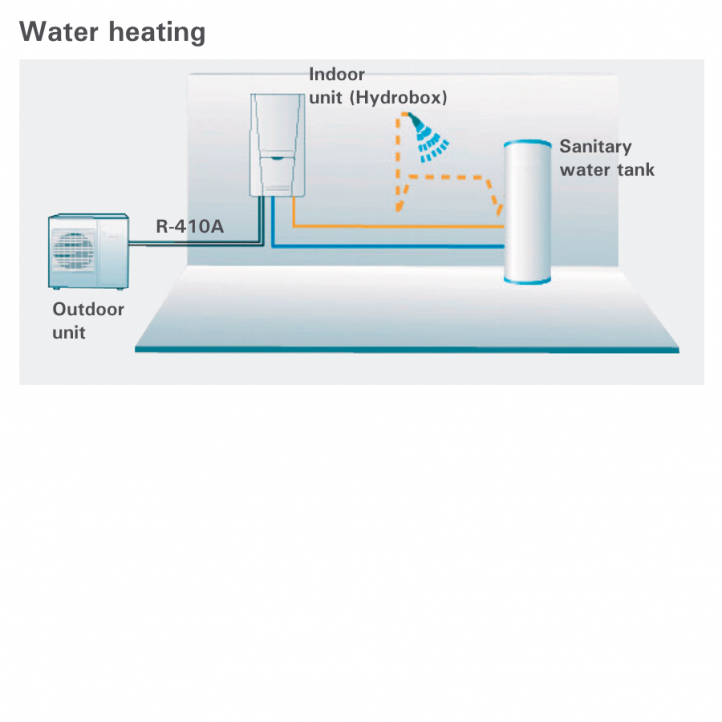 This prevents from overheating the house, mainly if outdoor temperatures are around 0°C. Inverter technology is the main advantage over heat pumps with an on/off compressor which runs at their maximum capacity all the time. The compressor is located in the outdoor unit, so indoor unit is as quiet as possible. A water pump is the only one moving component in the indoor unit. There are two fans in the outdoor unit. 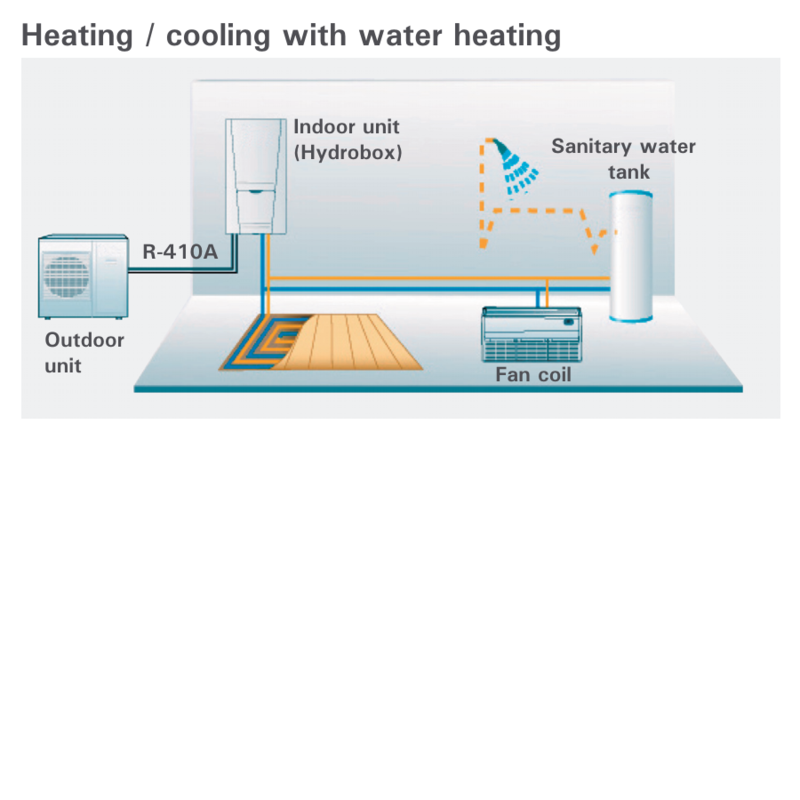 Due to this, fans can run at lower speed and noise from outdoor unit is lower. 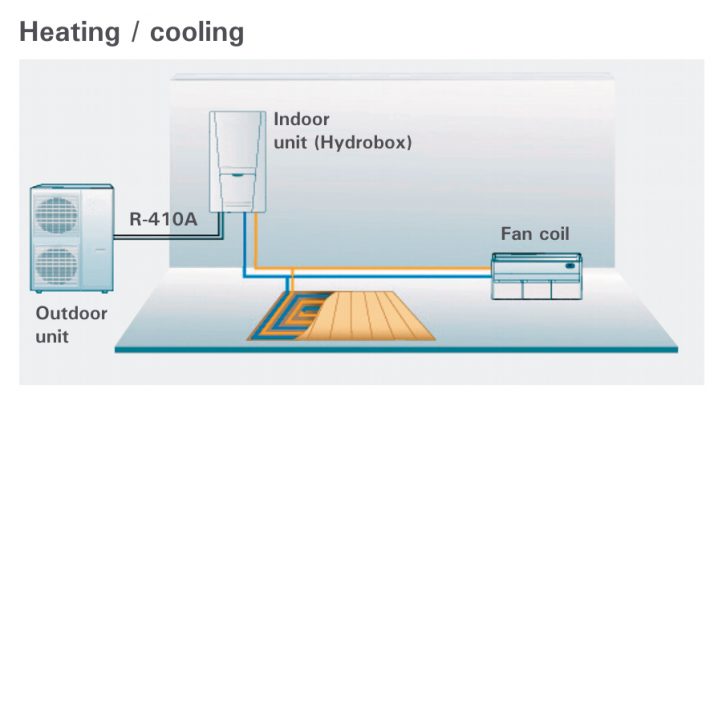 Not only the refrigerant circuit, but also the heating system can be both controlled by control system of the heat pump. A user can activate weather compensation mode, which accommodates the outlet water temperature according to the outdoor temperature. When outdoor temperatures are higher, the heat pump will provide lower water temperature and will work with better COP.